The Shift: How Nour El Din shifted from engineering to branding? Four years ago, Nour Eldin Ibrahim, our Brand & Communication manager at WUZZUF, wasn’t working in the branding industry. 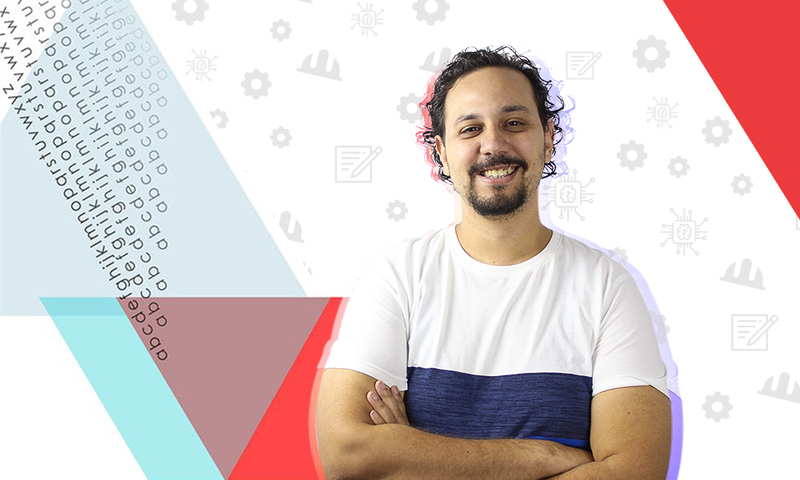 Nour was a networks engineer and then a project manager at Orange Business Services before he joined the branding industry and made the shift to build his career creating content for various websites and then joined WUZZUF. In this interview, I tried to focus the light on how he managed his career shift in the best way possible so that you can take his personal experience into consideration when you do. Yasmine Madkour: Before we can start our questions, do you remember what was your career plans when you were a child? Nour Eldin Ibrahim: To your surprise, at the age of seven, I wanted to be a neurosurgeon! I stumbled upon some books discussing paranormal and special brain abilities like telepathy, and psychokinesis and how the Soviets -at that time- developed neurological research in that areas. I was pretty interested, so as a child, I wanted to be a neurosurgeon in order to research and study – and finally be able to acquire of course- these abilities. Pretty nerdy kid. Y: Did you try to pursue this old neurosurgeon dream? N: Well, can’t say I really did. A couple of biology classes in Thanaweya where enough to abandon the dream forever. At that time, I was obsessed with something else, computer hacking! I learned and practiced a lot, and was immersed in that community, I even had my first networks course in grade eight. So when I found out that hacking could be a career (like ethical hacking and penetration testing), I decided to try and be a network engineer specializing in security, thus aiming for joining an engineering university. Y: So you joined Engineering school after Thanaweya, right? N: Yes, I graduated from Ain Shams University, Computer Engineering section with a good grade. Y: Your resume says that you worked for four and a half years in Orange, how was your experience? N: I joined Orange as a network engineer. I was pretty good at analytics and problem-solving which helped me be really good at this job. Also, I was very eager to learn more and excel, so I had a rule of studying for at least one exam per quarter, which led me to be the most certified engineer in my department at that time, collecting CCNA, and 2 CCNPs in under 3 years (These are pretty well-known certifications in the field of networks engineering). Also, I got promoted after less than one year on the job to a problem expert which is a higher tier in technical expertise. Y: When did you first think about shifting your career from Network Engineering? N: After being a problem expert for a year and a half, the next logical step was supposed to be aiming for a technical consultant position, but I felt so bored with technical work, and I had a chance to try project management in a new position at the same company, in the same field. I attended a PMP course and got PMP certified, that made me able to switch to the project management team. It was a pretty exciting experience. I was the youngest project manager in the team, the next youngest was like 5 years older than me. Y: So it seems that you were pretty successful, why did you shift? N: After one and a half years as a project manager, I felt that still, this isn’t what I want to do. And the working environment wasn’t that great too. I felt stuck and that I need to pursue something else. Y: What was the turning point? What was your motive back then? N: I used to check startup projects and products crowdsourcing for funds on Kickstarter, I was fascinated by the ideas. I felt that most of these projects were created by people experienced in some field and then they started their own thing, through using that collective experience to build something innovative and new. But In my field, I felt that no matter how long I work, It will never make me capable of creating something different. It’s like being a car mechanic, no matter how good you are, it will never teach you to build a car. And I wanted to explore more and expand my creative potentials. Y: Did you know that you are going to shift to the branding field? N: Not at all. Before thinking of career-shifting, I was travel-blogging as a hobby, and one of the blog posts I wrote went viral, and that created an opportunity to write as a freelancer. I got many offers to write on several websites and newspapers; ElShorouk, Almasry-Alyoum, GCC media websites, and others. Suddenly, I found myself working in the writing and publishing field. Although I didn’t think of writing as a career before, Nawarny (my personal blog) helped me write about other topics like tech and life-hacking. The question I was trying to answer when I thought I want to shift my career was “What else am I really good at, that I can get paid for?” and it was writing, and that’s how this shift all started. Y: How did you support yourself financially while keeping your decision in action? N: My initial plan was to start as a freelance writer for a while till I figure out what do next. First, I decided to diversify my income resources, freelance writing is not a reliable source of financial income, so I tried as much as I can to get more jobs for more than one place. I kept asking my friends and my circles and trying to contact various websites that I thought my writing style would fit until I was able to write for four places at the same time. Y: So when did you really leave Engineering? N: While freelancing in content writing, with a steady slash career and extra income, I felt that this might turn into a comfort zone, and I should have something to push me to make the change I always wanted. So I set a deadline for myself, whether I found a full-time job or not, I will quit engineering once and for all. And the deadline came before I actually find a job, but I stuck to my plan, and I quit. But I got lucky that during the two-month notice, one of my clients (The Glocal) offered me a full-time job. I actually didn’t plan for the shift to go that smooth, it happened way better than anything I expected. Y: How was The Glocal experience for you as a newcomer in the content field? N: During the year I joined The Glocal, I learned many things, especially crafting entertainment content. The Glocal is a local entertainment website that aims to create a cool, entertaining fusion using local Egyptian entertainment with a global touch. I wrote in both Arabic and English, I wasn’t used to writing articles in English. I learned a lot about content marketing, and native advertising, so I started to build experience in this area. I got introduced to client meetings, briefings, and that taught me more about branding and communications. After around a year, I got an invitation to apply from WUZZUF, as a branding and communication team lead, and the rest is history. Y: If you went back in time, what will you change about this plan? N: I think I would have taken more time in figuring out and deciding what I want to do exactly. Choosing this path, branding, and communication, was more of a logical choice than passion. It was the skill that I am good at and actually had a shot getting a job in. It doesn’t mean I don’t enjoy it, but I am not entirely sure that this is what I want to do for the rest of my career yet. Maybe a year or so from now, I will shift to something else. Y: What did you take from the old career to the new one? N: Many things, but mainly project management. Whatever creative piece I am working on, it is a project. The project manager mentality to cut projects into sub-projects and tasks. In the end, writing is a process, and even writers have deadlines. I see communication and branding as an engineering process. I want to engineer the product to be perceived in a certain way and convey a specific message. Engineering taught me to look at the big picture and then break it down into details. Y: Is there something that you didn’t expect to find in the new career? N: That would indeed be exploring my creative side. I’ve always thought that I have excellent analytical skills, but I can’t do creative work, I can optimize things, but not create. But I was so happy to learn that I was wrong, I can create too! Another thing I didn’t expect was the satisfaction of recognition in this field! In the corporate world, you are literally a gear in a big machine, no matter how important you are or your job role, your influence circle, is so narrow. You can be the best of your team or even the department, but you will never be recognized in the broader circle individually. The advantage in branding and communication is that anything I do, surely helps and supports the brand itself, but also results in personal recognition. When I write a great article that everyone loves, my name is on it. I can see my impact, and it is very fulfilling. Y: Anything that you are missing from the past career? N: Yes, the tech. I consider myself a tech-geek. My current field isn’t far from technology, but I miss dealing with intricate technical challenges and using my analytical skills to solve hard problems. I still try not to lose it all, every now and then I study a bit of coding or a learn a new tool so as not to get rusty. I never left engineering because I hated it, but because I wasn’t fulfilled by my experience. And well, as they say, once an engineer, always an engineer. Y: If that experience is different, will you go back to the engineering career? N: No, it is too late. This ship has sailed, but I’d love to work in something that combines both worlds. To work on a creative campaign for a product with a technical side, or move to a position that requires both my technical, analytical skills and my creative side too. Y: Where will be your next career shift? N: I imagine it might be either more into creative production or product management for a web-based product that I love. In general, l always need to be in a position where I can influence the growth of what I work on. Y: If anyone wants to career shift from engineering to branding and communication, what is your advice? N: There is a big misconception about your career which is that its a ladder, it’s not. It’s more of a random web. You can try and experiment with different jobs and stuff, and all these experiences will form who you are. I tried many things until I reached this point. Don’t overthink it. When you shift career, you don’t get back to square zero, you add your experience from your last careers, and this actually might be your unique strength. You are just getting into a new field. Secondly, shifting your career is financially stressful, it is not “I quit my job and pursued my passion” story, especially for people who are thinking about creating startups. Go for it for sure, and pursue your passions and dreams especially when you are young and still have no pressing financial responsibilities, but be smart about it. Start small, lean, careful and steady, until you are ready for the shift. Try an internship, attend a training course or find a part-time or a freelance job. Maybe if your passion becomes your work, you lose interest! You will never be sure until you try. And just remember that every step you take is not the final, its just a move, you can make another one if you are not satisfied with the results. 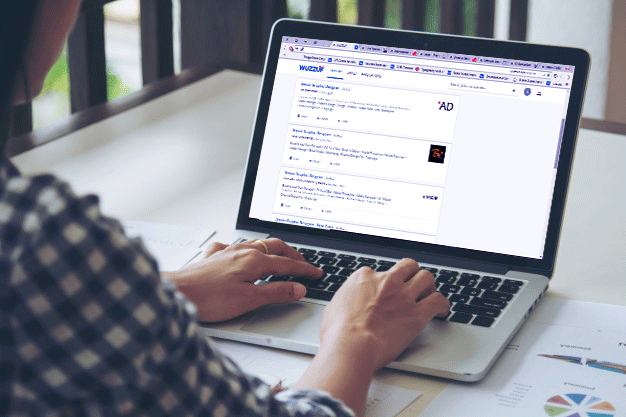 “Explore” how WUZZUF home page can boost your career!